We all know how essential calcium is to the development of our kid’s bones and teeth. But how do you make sure that your kids get calcium when you’ve taken dairy off their diet? Watch the video above (or read below if you would prefer) I talk about the best sources of calcium that are completely dairy-free. 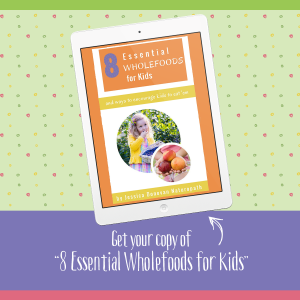 I also give away some tips on how to creatively add non-dairy calcium to your kids’ meals. Today I want to answer a question for you all that I’ve been asked from a lot of mums recently, and it’s all about calcium. These mums are concerned about calcium because they’ve had to take their children off of dairy for some reason. First of all I want to look a little bit closer at calcium. Calcium is a mineral. 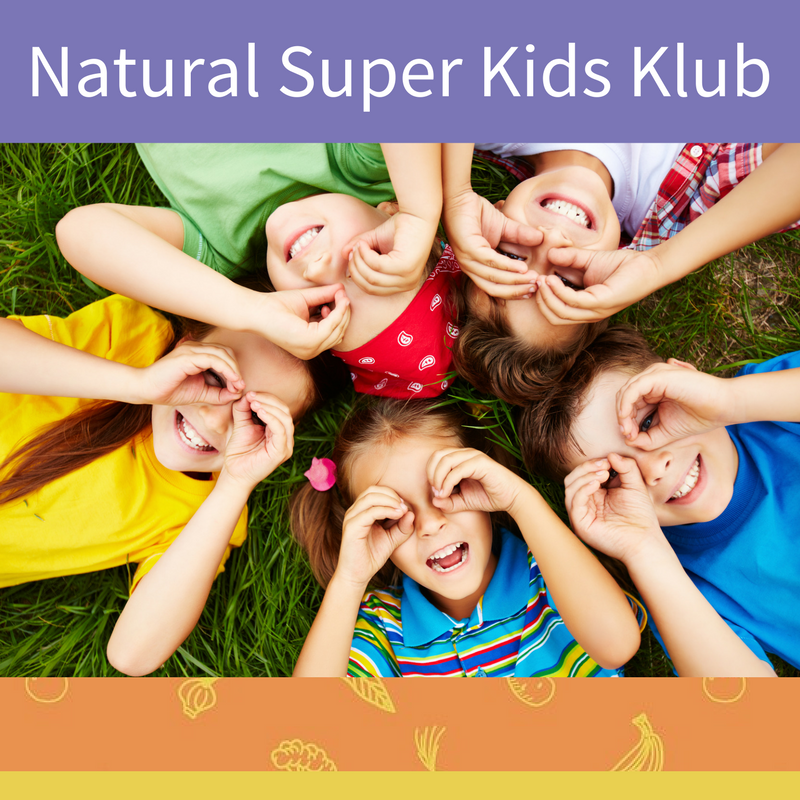 It’s really important for our kid’s health, because it’s essential in proper bone development. The calcium intake that our kids get in the early years really sets the mark for healthy bones all the way through their lives. It’s also very important for healthy teeth, but what a lot of people don’t realise is it’s also an important mineral for healthy muscle development, and it has a role to play in skin health as well. It’s important for the overall well being of our kids. 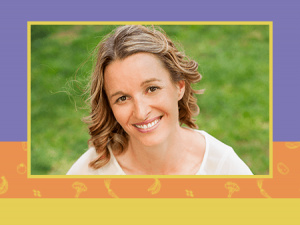 Calcium is a consideration whether our kids are eating dairy or not, but more and more parents are trialling their kids off of dairy, or taking their kids off of dairy long term for different issues that they’re having. These can include things like gut and digestive problems, allergic issues such as eczema or an asthma, immune problems, or sometimes even families just have an ethical issue with having dairy in their diet. There’s lots of reasons why dairy comes out of the diet, and calcium is an important consideration. What I want to assure you is that you can get enough calcium even if your children aren’t having dairy. We just need to think about some different sources of calcium. Milk, and yoghurt, and cheese are good sources of calcium, but you don’t have to have dairy in your diet to get enough calcium. Another thing I want to make a point of is that calcium doesn’t work on it’s own in the body. There’s supportive nutrients, or friends for calcium that really help make sure that it’s being assimilated and used properly within the body. Some of the most important ones here are Vitamin D, Magnesium, and also Vitamin K.
Let’s have a look at some other sources of calcium that aren’t dairy based. One of the best ones is fish with bones. You know when you buy tinned salmon or sardines and they’ve got the little bones in them? Make sure your kids are eating those bones. That’s where a lot of the calcium is. It’s in the flesh of the fish as well, but the bones, the edible bones of fish in tinned salmon and sardines are great sources of calcium. If you get fresh sardines the bones are edible as well. They’re tiny and they go kind of crunchy when they’re cooked. Sardines are a terrific source of calcium for your kids. Cannellini beans, are the white beans that baked beans are made out of, but you can just by cannellini beans on their own, dried or in a tin, they’re another great source of calcium. One of my favourites is tahini. Tahini is a paste made out of sesame seeds. Sesame seeds are high in calcium, but when you have tahini it’s a more concentrated form. You can get more of it into your kids. You can use tahini as a spread, you can use it in sauces, in dips, in bliss bowls. Getting more tahini into your kids diet is going to boost their calcium levels as well. Green leafy vegetables are a good source of calcium. Good luck getting those into kids. There are little ways that you could do. Most kids are pretty fussy when it comes to green leafy veggies like kale, and spinach. Most kids don’t love those sorts of things. If you’re lucky enough to have a child that will eat them, then definitely get some more of those onto their plate, but you can blend it up into a smoothie, or into a dip, or add it to soups. Add green leafy to pasta sauces. There’s ways that you can get more of these green leafy veggies into your kids. Dried figs are a great source of calcium as well. If you can source some. My local farmers market has some beautiful local dried figs. The kids love them. They are expensive, but adding those to a nut and fruit mix, or adding a few of those to your child’s breakfast in the morning is going to help boost their calcium. Here are some takeaway tips for you that I recommend. How about making a homemade dip with some cannellini beans, some tin sardines, some tahini, some lemon juice, and maybe a bit of garlic, or some sort of dried spice like a bit of paprika. Blend it all up in a good blender, and have that with some veggie sticks, or some rice crackers as an after school snack. A lot of moms that I talk to don’t like sardines, so they don’t serve sardines to their kids, but you might be surprised. They might not eat them straight out of the tin, but mixed in with other things like in the dip that I just recommended. You might be surprised at how much of that they actually scoff down. Sardines in a pasta dish is another good one, or my kids love sardines served as a topping on a baked sweet potato with some avocado, and like tomato salsa. Those sorts of things go down really well. Try some of those options to get the sardines into your kids, because they are really one of the best nondairy sources of calcium for your kids. I’m sure that gave you some good tips on getting more calcium into your families diet. 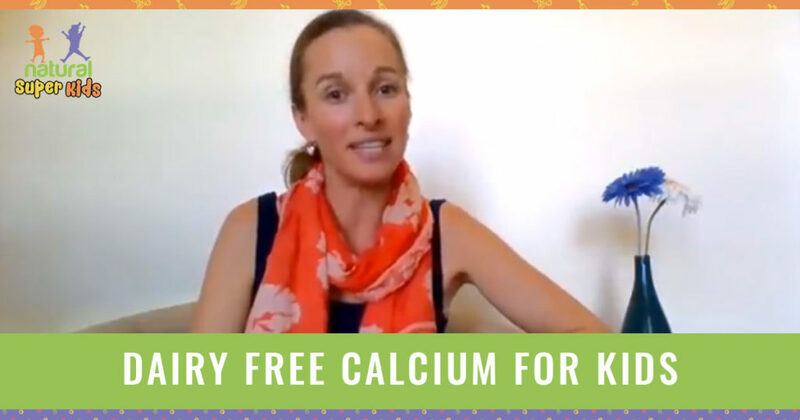 Down below this video there is a free download that you can print out, and stick it on your fridge so that it’s top of mind and it reminds you the great sources that are nondairy to get into your kids to boost their calcium levels. See you next time.